The biggest complaint of children with flat-feet is the lack of desire to participate in sports and activities. Most children will not complain of pain. Some will complain of achiness or state that their legs feel tired after walking long distances. 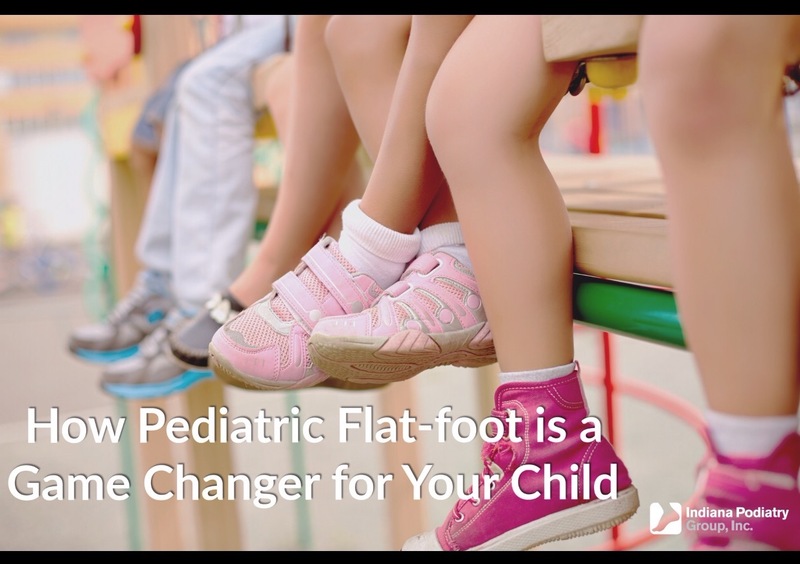 With childhood obesity at an all-time high, this correlates with increased pressure on the foot and may lead to a lower arch or arch collapse. If your children are complaining of pain in their feet or legs, or routinely do not want to participate in activities have their feet checked out by a specialist at Indiana Podiatry Group. Where arch supports may be a "game-changer" for them!